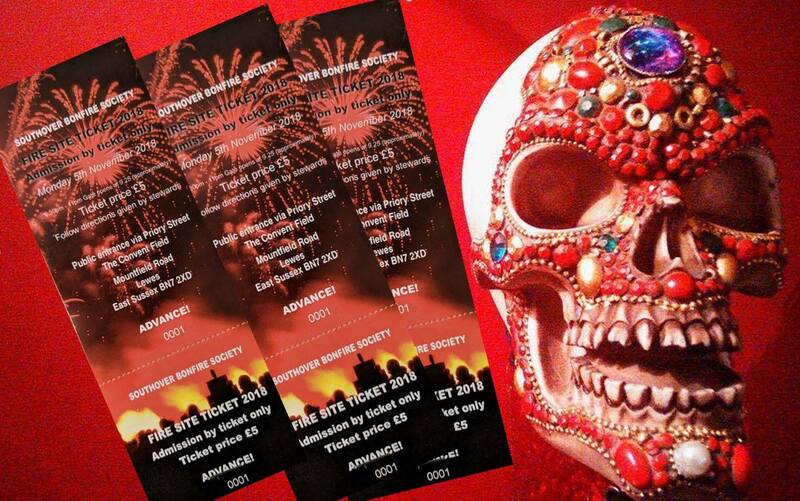 Tickets for the Southover Bonfire Society firesite 2018 are currently on sale at the Tourist Information Centre, St Pancras Stores, the Kings Head and The Swan. They will also be available on the 5th at the Kings Head. Tickets are £5 each and the public entrance to The Convent Field is via Priory Street (processing members entrance is via Cockshut Road). Gates open at 9:30pm. We are looking for more SBS-ers to join the Southover Bonfire Society Firesite Force! …or perhaps just one, all contributions welcome! SBS uses loads of kit in its various activities throughout the year so we’ve set up an Amazon wish list to make it easy for members to make a financial contribution to the Society. All donations would be very gratefully received, please visit our wish list page to find out more. Rumours have been circulating of late about the use of marine flares in processions and other bonfire events, so to provide clarity here is a summary of the current situation regarding these items.